I know SO MANY people having babies. It has definitely been baby shower season it seems. Although I do have some traditional gift ideas that I love giving, I also love giving unique children's gifts for not only baby shower gifts, but birthdays and more. I received compensation and products for this post. All opinions are my own. It’s sometimes hard to find something that feels special that isn’t super expensive, so I was excited to discover cuddle + kind. 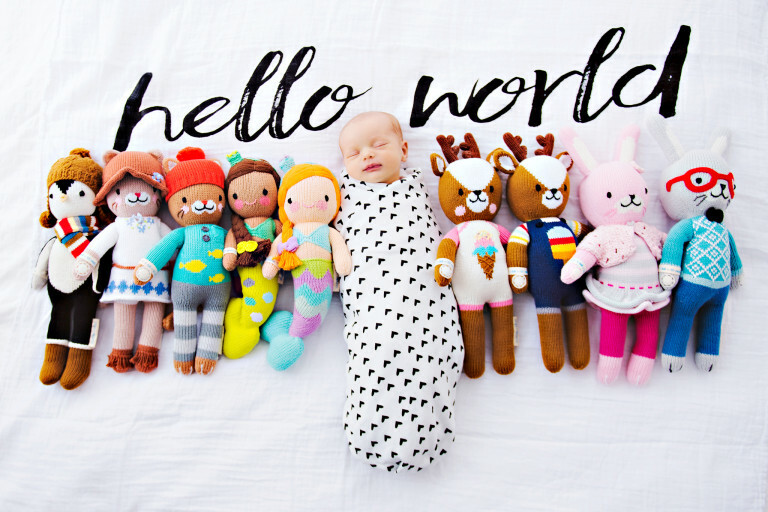 Not only are their dolls and prints super cute, but this small company has an amazing backstory. cuddle + kind was started by a couple who have three kids and a background in health, inspiring them to create a company that also donates meals to children. All of the dolls are ethically produced by hand from artisans in Peru. And through their sales they sponsor feeding in the WFP School Launch program & at orphanages in Haiti through the Children’s Hunger Fund. They launched in September & have already donated 200,000 meals to children in need! Recently they launched The Little Collection, 13″ size dolls of their original collection that when purchased provide 10 meals. I know my daughter would be a HUGE fan of Pearl the Mermaid. But honestly, these are adorable and do so much good that it would make a really special shower or birthday gift. I really love The Little Collection for that reason- they are perfectly sized for little kids. cuddle + kind is doing big things, so make sure you’re also following their company’s progress through Facebook and Instagram. What do you think of cuddle + kind and their Little Collection? Do you like company's that give back?